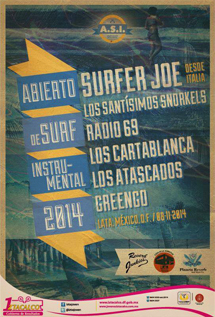 “Although there are a lot of recordings of surf bands in the world (yay! ), there are not a lot of books or films or documentaries about the genre. This is a new one, and a good one. I highly recommend getting & collecting a copy for your surf-abilia files”.